Engie North America has secured US$320mn for a wind project in Texas. The lender is Bank of America Merrill Lynch, with US$147mn of the funds coming in the form of construction finance, and US$155mn in project finance. Rabobank provided a letter of credit, while BofAML provided a power hedge. The funds will help build the 200MW Live Oak wind farm, part of a renewables portfolio recently purchased by Engie. The farm will come online at the end of the year. The project will use 76 Siemens-Gamesa 2,625MW turbines with 120-metre rotors, and the balance of the facility will be constructed by Blattner Energy. Engie acquired the Live Oak project from Infinity Renewables, which began developing the site in 2009. Senior vice-president and head of US wind development at Engie, Matt Riley, described it at the time as “the strongest wind portfolio in the US”, saying that “Live Oak is just the first of many successes we expect over the coming years”. Upon the announcement of the financing package, Riley said: “We’re pleased to enhance the Live Oak project’s value with a competitive financing package and long-term offtake agreement. 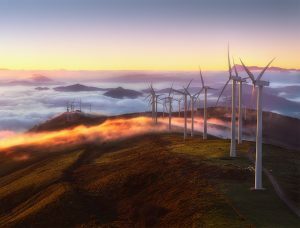 We look forward to replicating both elements in our future projects as we grow our large-scale renewable portfolio here in the US.” The post Bank of America bankrolls Texan wind farm appeared first on Global Trade Review (GTR).